Elmwood Ave. More information on each of these events is available at www. townofbrighton.org. Our lawn and garden debris pickup resumes when winter weather abates. Please remember that lawn and garden debris should be left on your grass and not in the street. Debris left in the street becomes a safety hazard for drivers, cyclists and pedestrians alike, and can also clog storm drains, potentially causing street and basement flooding. If you hire a landscape company to do any of your lawn and yard work, please ask them to obtain a permit and transport the debris directly to the Town landfill. This will keep your neighborhood cleaner and safer, and ease the work of our Town Highway Department crews. Tree service companies MUST haul their debris to the landfill and they must be registered with the Town. Please remember that the Town does not pick up grass clippings; they should be left on your grass to enrich the soil. Finally, a reminder that the Town of Brighton does not use pesticides or herbicides on Town property, except in emergency situations. We encourage our residents to consider doing the same, to help reduce the flow of pesticides into our watershed and to support butterflies, bees and other pollinators. The spring and summer never seem to last long enough, but you can find new ways and favorite ways to enjoy Rochester’s best weather at Brighton’s Recreation Department and in Brighton’s parks system! Highway Access Guidelines at the Department of Public Works or at the Highway Department. Permit forms and fee schedule can be obtained at the Department of Public Works or Highway Department offices located at 1941 Elmwood Ave. They also can be downloaded from the Town’s website at www.townofbrighton.org/highway. 2019 Yard Debris Collection to Begin on April 8th When the Town of Brighton begins our yard debris collection program you know it’s a sure sign that blue skies and warmer weather are on the way. This year, the Highway Department will begin the annual collection of brush and garden debris on April 8th. The Highway Department strives to provide weekly collection of material generated from normal lawn and garden maintenance from spring through fall. The yard debris collection schedule may be altered during this time allowing us to focus on street and infrastructure maintenance as well. As our hardworking women and men make their way through Town, here are a few helpful reminders that will help keep our crews on schedule. • Grass clippings will not be collected. The Town of Brighton has a grassrecycling program that encourages residents to either compost their clippings or simply leave them on the lawn. Brighton residents may drop off grass clippings for composting at the Highway Department, which is located on 1941 Elmwood Avenue. • Small piles of yard debris or brush must be placed in acceptable containers for a quick, clean pickup. Containers must weigh no more than 50 lbs. Small loose piles will not be collected. • Please place brush and garden debris at the curb in containers or paper bags – not in plastic bags, or in a neatly stacked pile, no more than eight feet long, and free of sod, dirt, or construction debris. • Do not place any debris piles or containers onto the roadway, shoulders or gutters as it creates a safety hazard for bicyclists, pedestrians and motorists and as this is also a violation of NYS Highway and NYS Vehicle & Traffic law. • Do not mix household refuse with yard waste. • For ease of collection, bulk yard debris or brush piles must not be placed next to or around obstructions. Remember that wood chips are available at the Town of Brighton’s Highway Department. Residents need to bring their own container. For more information, call the Highway Department at 784-5280 or check out the Town’s website at www. townofbrighton.org for daily location updates of yard debris collection. Grievance application with supporting documentation such as recent comparable sales, interior/exterior photos and/or a recent appraisal is required. Bring a blanket or a lawn chair, dinner and enjoy performances in the Pavilion at Buckland Park, 1341 Westfall Road. Performances to include music that will get you up and moving! Concerts are FREE to the public. Handicap accessible, restrooms and concessions will be available for a fee. Join us every Tuesday for six great weeks! Contact the Recreation Department 585-784-5260 with questions. Monday, May 27 Veterans Memorial Buckland Park 1341 Westfall Rd. Please join us for a brief ceremony to remember the service men and women who made the ultimate sacrifice while serving our country. 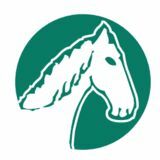 Please check the Town Website: www.townofbrighton.org for complete details. SPLASH INTO SUMMER! Friday, June 21 4:00 - 5:30 pm Brighton Town Hall Pool & Grounds Join the Recreation Department as we kick off summer with a splash! The Outdoor Pool will be open for free swim and staff members will lead a multitude of interactive games and activities on the grounds around the pool. Food trucks will be on hand to provide refreshments (for a fee). Bring the whole family and help us get summer started! Children must be supervised by parents during this event. This event is free, registration is not required! FOURTH OF JULY CELEBRATION Thursday, July 4 Meridian Centre Park, 2025 Winton Rd South Join us as we celebrate the Fourth of July! The celebration will begin with the Brighton Chamber of Commerce 5K Race held at the Brighton High School at 8 am including our July 4th Pancake Breakfast! All other activities including the legendary performance by the Skycoasters will take place at the beautiful Meridian Centre Park. Festivities at Meridian Centre will begin at 2:00 pm and include tons of family fun games and activities, Kiwanis Kid Zone, food vendors and a great schedule of musical entertainment throughout the day! The evening will conclude with our annual fireworks display that is sure to please the masses! Please visit the Town Website: www. townofbrighton.org for a complete schedule of events after May 1. SUMMER CAMPS REGISTRATION INFORMATION To continue to better serve the residents of Brighton, please see the below registration guidelines for information on how to register for Summer Camps (Previously known as “Playground Camps”). CANCELLED. Please register early! SUMMER CAMP Brighton Recreation Summer Camps are permitted by the Monroe County Health Department! Your children will spend their summer meeting new friends, making craft projects, playing outdoors and participating in various indoor and outdoor activities. The goal here is for the kids to have a great time, while being as safe as possible! Participants must wear sneakers each day and bring a nut free lunch and snack. Children must be grade appropriate for the camp you are registering for, NO EXCEPTIONS! Online Registration is available for Summer Camp. Paper forms that are mailed or dropped off are processed randomly for the first week of Summer Camp Registration! PLEASE NOTE: Brighton Central School Buildings will be under some construction this summer, which may include ASBESTOS removal. Due to this, space may be limited at some sites, and grade ranges adjusted accordingly. Please take this into consideration when registering for camps, and carefully read all program details. See page 8 for information on Wednesday Field Trips Departing right after camp! Please wear sneakers to all summer programs, bring a water bottle and apply sunscreen at home. EXTENDED CAMP PROGRAMS/ YOUTH PROGRAMS All participants welcome, you DO NOT need to be attending the corresponding Summer Camp to attend these programs! PAW PATROLLERS Join our small group as we go on rescue adventures! You will also have a chance to meet real life local heroes from the fire and police as well as dogs who perform a special job in our community. YOUTH PROGRAMS PLEASE SEE THESE OTHER YOUTH PROGRAM OPTIONS IN THE EXTENDED CAMP PROGRAMS SECTION All participants welcome, you DO NOT need to be attending the corresponding Summer Camp to attend these programs! COMING TO CLASS? Please bring a non-perishable food item to donate to the Brighton Food Cupboard. Collection bins are located at Brighton Recreation, Brighton Town Hall and all BCSD Buildings! AQUATIC PROGRAMS OPEN/LAP SWIM TIMES AT BHS POOL Please see our website www.townofbrighton.org/rec for a complete listing of the pool times by month. Or you can call 784-5260 and the Recreation office will mail you a schedule. LIFELONG LEARNING DOG TRAINING Lollypop Farm Training Classes are now in Brighton! Preserving the bond between people and their pets is a primary goal of Lollypop Farm, the Humane Society of Greater Rochester. Classes offer people and their pets a wonderful opportunity to improve their training skills and prevent future behavior problems. It’s also a lot of fun! A portion of the proceeds from these classes benefit pets in need at Lollypop Farm. Fee includes class handouts, training clicker, and certificate of completion. Training programs that are paid for at Lollypop Farm, must be taken at Lollypop location. BUCKLAND HOUSE DOCENT Do you or your community group have an interest in the Historic Buckland Farmhouse? We are currently working on putting together a volunteer, docent program for the house and need your help! Plans are being made now for 2019. Please register Online or email rebecca.cotter@townofbrighton.org for more information. HEALTH & WELLNESS For Senior Level Fitness refer to page 24. OPEN PICKLEBALL Indoor Pickleball ends after May 24 and re-opens at the end of September. There are outdoor courts at Meridian Park available on a first come first serve basis. No News Is Good News! Unless you hear from us, assume you are in the class you registered for. CARDS & GAMES BRIDGE GROUP There is no fee. This group meets on Mondays from 1:00 - 3:30 pm. The games are timed, you play four hands per table, and you play six tables. No instructions are given, just an opportunity for players at all levels to practice their skills with other bridge enthusiasts. If a partner is needed, we try to match players who need a partner. It makes for a pleasant afternoon. EUCHRE GROUP This group meets on Tuesdays at 1:30 pm in the Multipurpose Room. It is an informal group and a working knowledge of Euchre is required. Players are welcome to drop in to play. MAH JONGG GROUP These drop in groups meet on Wednesdays at 1:00 pm. No instruction offered. MEXICAN TRAIN DOMINOES GROUP This adult group meets on Thursdays in the Senior Lounge at 1:00 pm. There is one group that currently plays every week, and if there is enough interest, we will form another group. If you would like to learn how to play, please contact Ed at edetamble@gmail.com. PINOCHLE GROUP This group meets on Fridays in the Multipurpose Room at 1:00 pm. Both single deck and double deck pinochle are played. SCRABBLE A small Scrabble group meets on Wednesdays at 1:00 pm in the Conference Room. New players are always welcome! EVERY TUESDAY Free, weekly morning programs at 10:15 am, Lunch Bunch at 11:30 am, Free Entertainment or Interesting Speaker Presentation from 12:15 – 1:00 pm. TUESDAY LUNCH BUNCH Please join us for our social Lunch Bunch group! Pack a lunch or sign-up for a delicious $6 lunch catered primarily by FULL BELLY DELI. Each Tuesday at 11:30 am a full lunch including an entrée, two sides, dessert and milk, is catered. Signup no later than noon on Mondays required! Your payment is needed by 11:20 am day-of or sooner. If you cancel after the Monday noon deadline, you are still responsible for payment (refund only issued if your meal is bought by someone else). Musical entertainment or interesting speakers follow the luncheon at 12:15 pm. 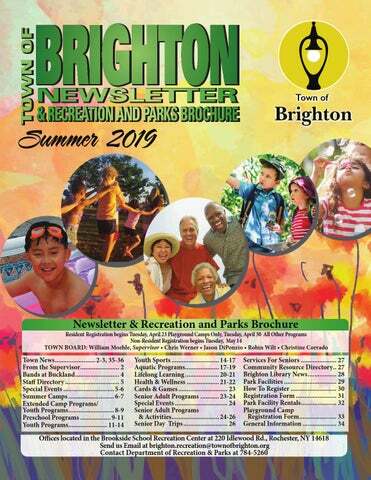 We would be glad to send you a monthly calendar newsletter for a specific menu and entertainment lineup and complete activity listing if you call the Recreation Office number 784-5260 or e-mail emily.kelsey@townofbrighton.org. SENIOR TRAVELER PROGRAM Brighton Residents can get a ride in from home to the Brighton Senior Center on Tuesdays and for local, specially planned trips for $4 round trip! On Tuesdays, you will be picked up between 8:00 - 9:30 am, then arrive at the Center, where you are welcomed to partake in the free, weekly 10:15 am program, or enjoy free time. Lunch is at 11:30 am with special guest presenter at 12:15 pm. The Bus leaves the Center at 1:00 pm, at which point you may choose to get dropped off at Tops Plaza or Wegmans/ Pittsford Plaza (alternates each week—see the monthly calendar for specification) for shopping, or return home. Any travel changes you need to make must be communicated as soon as possible. Please sign-up no later than noon the Friday before. Our local transportation provider is Platinum Limousine WNY. *Patrons using Town Travel accommodations must be able to board independently* Please call the office at 784-5260 ext. 0 if you must make last minute travel updates. BRIGHTON MAD HATTERS This is a fun-loving, co-ed social group that gets together for outings once a month. They go out for lunch, host themed get togethers, volunteer, etc... They enjoy dressing in brightly colored clothing for their events. For more information or to become a member, contact Club President Doreen Spero at 334-7616. DAYTIME EDUCATION AT RECREATION - DEAR We are pleased to bring DEAR to the Brighton Senior Center! We hope to offer classes and lectures to our consortium of lifetime learners. Engaging in intellectual, socially viable cognitive activities to help keep our minds sharp and alert while reducing the risk or delaying the onset of age-related concerns. Daytime Education at Recreation has become an important staple to adults who understand the significance of this idea and would like to reshape the way they spend leisure time, meeting new and interesting people along the way. Join us as we learn and share life experience with others. CLASSES ARE FREE, BUT YOUR REGISTRATION IS REQUIRED! To get notifications about these offerings, contact the Rec Office at 784-5260 ext. 0. If you have expertise you would volunteer to share, please e-mail emily.kelsey@ townofbrighton.org to discuss the possibility of leading a program! LILACS AND LUNCH Avoid the traffic and hassle of parking at the Lilac Festival by hopping on the bus that will drop you off right at the Festival site on Thursday, May 16. Lunch will be on your own. The bus will leave the Senior Center at 10:30 am for a short visit to the Festival. We will return around 1:30 pm. Cost is $4 per person. Reservations are due by May 14 at noon. MONTHLY BALANCE CLASS Physical Therapist, Ron or Sherry, of Clover Physical Therapy will be teaching a free balance class on the last Tuesday of each month starting at 10:15 am. They will demonstrate techniques that will improve coordination and help to prevent falls. Free, but reservation preferred by calling 784-5260 ext 0. Please wear sneakers and comfortable clothing. HEALTHY MIND HEALTHY LIFE WORKSHOP Improve your overall health and wellness by mindfully engaging in an active brain lifestyle. Join this engaging series, to learn the science and art of brain fitness at any age. Topics include: foundations of brain science, vision and hearing, balance and mobility. SENIOR DAY TRIPS Registration with payment for trips must be at least one month in advance. Trips may be cancelled if they don’t meet their passenger minimums by the 30 day deadline. Brighton residency is not required for trips; adults of all ages are welcome. Trips depart from Brighton Town Hall at 2300 Elmwood Ave. Vehicles may be parked at the Town Hall’s address, in the lot behind the Library. If you are interested in making reservations for one or more of the trips, please see individual trip fliers for full details and registration forms. Check out specific trip fliers on our website or stop by call the Rec Office. Registrations and payments must be sent directly to Covered Wagon Tours. BEREAVEMENT SUPPORT GROUP Especially for seniors whose spouse has died, this group provides an opportunity for discussion and support. No Fee. Meets the 1st and 3rd Mondays from 1:30 - 3:00 pm. Sponsored by Lifetime Care. The meeting location takes place at the Wellness Center for Loss and Transition, 3111 S. Winton Road. (214-1000). Bri-Pen Senior Rides is a program, sponsored by Lifespan, that offers senior citizens living in Brighton or Penfield rides to medical appointments, religious services, and either Town’s Recreation Centers. Eager to Help? Volunteer to drive Brighton & Penfield seniors to their medical appointments, religious services & Town Senior Centers! Drive at your convenience--any availability is greatly appreciated. Call 340-8674. PARTNERS IN READING FOR SENIORS The Brighton Memorial Library matches homebound seniors with library volunteers who pick up and deliver library materials. The volunteers are also willing to read to seniors who might be in need of that service. Call 784-5300 and ask for the P.I.R.S. program for information. Brighton Memorial Library 2300 Elmwood Avenue, Rochester, NY 14618 • 784-5300 Visit www.brightonlibrary.org for additional Summer programs, details and updates. Click on “Contact Us” or sign up in the library to get our monthly newsletter via email. All programs are free and open to the public. Programs are sponsored by the Friends of BML. Brighton Park Facilities The Town Parks Department manages and maintains over 427 acres of parkland and open space for the benefit and enjoyment of its citizens and visitors alike. Please stop by and spend some time at our facilities - we know youâ&#x20AC;&#x2122;ll enjoy the experience. Located at the southwest corner of Highland Avenue and South Clinton Avenue. This 10-acre wooded parcel has a 3/4 acre open lawn area for people to walk through and enjoy. A sitting area is located off the main park entrance, which is located on South Clinton Avenue. Facility Rentals All Reser vations must be made in per son at the Br ighton Recr eation Office, located at 220 Idlewood Road. • Permit holder must be the same person who pays for the rental • A valid credit card will be needed for all lodge rentals to hold a security deposit • Permit holder must be on premises at all times during the rental Additional facility rental information is available online or you may call 784-5260 with any questions. The Parks Department needs your help keeping our parks and playgrounds clean! All camp registrations will be accepted online, by mail or in person. The Town Council encourages citizen attendance at these meetings, held at Brighton Town Hall, 2300 Elmwood Avenue. Community Forum meetings are also planned for West Brighton and East Brighton locations. Watch this newsletter, local newspapers and Cable 12 for more information. What A Great Way To Build Assets For Yourself & The Community! For more information and meeting schedule contact: Rebecca Cotter at 784-5260 or rebecca.cotter@townofbrighton.org A special thanks to the N.Y.S. Division for Youth and Rochester/Monroe County Youth Bureau for their continued financial support. We Love Feedback!! Comments on programs are welcome, as we are always looking for new ideas. Please email us your feedback at brighton.recreation@townofbrighton.org or call us directly at 784-5260.
counter medications by dropping them off at the Brighton Police Department Public Safety Wing. There is no charge for this event. For more information on any of these programs, email or call Councilmember Robin Wilt at Robin.Wilt@townofbrighton.org or 585-784-5255. The fee is $30 for the season. To receive an application, please contact the Brighton Recreation Dept. at 784-5260 or email brightoncommunitygarden@gmail.com. The Brighton Community Garden is sponsored by the Town of Brighton. Conversations with Town Clerk Daniel Aman Summer Su traditionally means an increase in the number of door-to-door salespeople who walk throughout our community so this is a good time for a refresher on Town’s Code surrounding these activities. Under Brighton Town Code, solicitors may knock between the hours of 9:00 a.m. and 9:00 p.m. Approved solicitors must, at all times, display the laminated badge for 2019 with their name, company name and a QR code which links back to our website. A list of all current permit holders is available on the Town website @ townofbrighton.org/solicitors. I have added a complaint form to that webpage this year. If the interaction with the solicitor is a negative one (i.e. he/she is aggressive, does not have or refuses to show the town issued permit), please let me know by submitting the form. If a company continues to violate the code, I have the ability to revoke their permits, and these forms will provide backup for that hearing. As always, please use caution when opening the door to any unknown individual. If at any time, you feel unsafe or threatened CALL 911 IMMEDIATELY. In addition, solicitor permits are not required of political canvassing, religious organizations or groups who qualify as a not-for profit under Section 501(c)(3) of the Internal Revenue Code. We ask that these tax exempt organizations still let me know they will be in Town so we can in turn let our residents know. If you prefer not to receive door-todoor solicitations, you may place a “No Solicitors” sign on or near your door as a legal warning that uninvited guests are not welcome. Farmers’ Market continues through May 5, Sunday afternoons 1:00 - 4:00 pm in Brighton’s Brookside Recreation Center, 220 Idlewood Rd., Rochester (easy access from S. Winton between Westfall and 590). Local farmers and producers bring high quality crops and products to our community all year!